It can’t be said of many organizations that they had an outsized impact on North Omaha. However, the Wesley House did exactly that, and more than a decade after its closure its loss is still felt throughout the community. Following is an incomplete history of the organization; share your additions, edits and corrections in the comments section of the article. In 1993, I was named “Youth of the Year” by the Wesley House. Growing up as a goofy low-income Canadian immigrant kid in North O, I didn’t really fit the historical bill of the youth who’d been acknowledged before. I’m sure it was my mentors who’d gotten me the award – organizations weren’t exactly falling over themselves to acknowledge me! Throughout high school I volunteered at Pearl Church, for the Miller Park PTA, and with the Miller Park Neighborhood Association. I was Santa every year in high school for hundreds of kids at Miller Park School; I spent dozens of hours lifting and sorting food at the Pearl Church Food Bank; I spent the night in half-built Habitat for Humanity houses with my dad to keep them from being robbed; and I did almost everything I was asked by my mentors throughout my neighborhood. Belonging to Boy Scouts, the United Methodist Youth Fellowship and clubs at school kept me from trouble, and I felt purposeful when I helped my neighborhood. I knew little about Wesley House though. I used the honor they shared with me to get into college, and I took pride in the plaque they gave to me—which I still have! The scholarship I received with the award went directly into changing my life, and today I still see the effects of their generosity. So here, 25 years late, is my letter of gratitude for this once venerable institution that helped so many North O youth. This is a history of the Wesley House in North Omaha. This pic is from 1991. 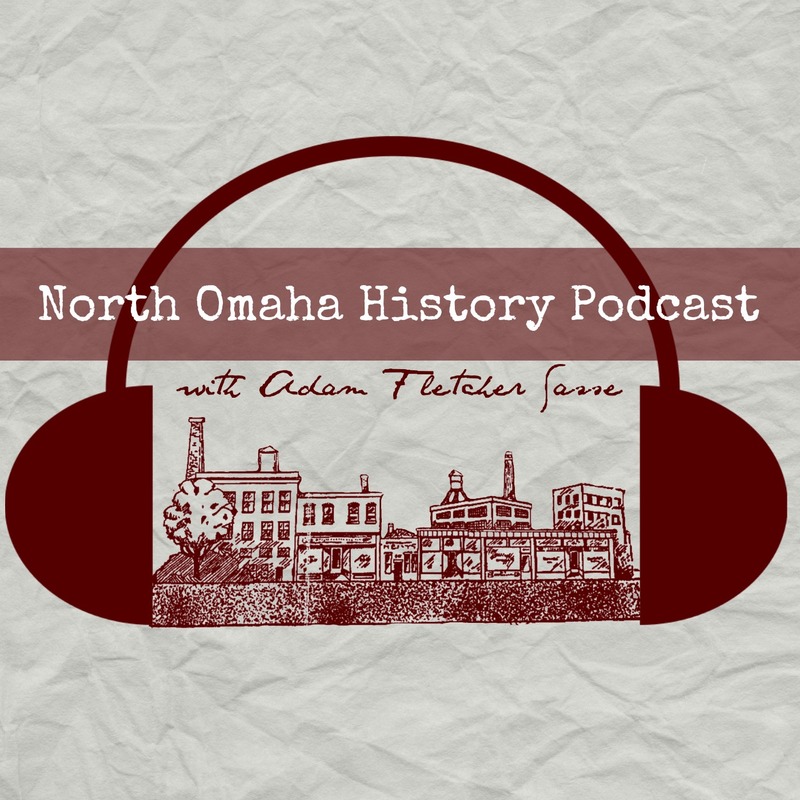 The history of the Methodist church in Omaha goes back to the founding of the city, and the church’s role in North Omaha was indisputably important. There were several congregations started in North O that were vital to the community’s growth, and a few that even maintain the fabric that holds the area together today. The oldest African American church in Omaha is St. John’s AME, which also served as one of the prime leaders in the city’s Civil Rights movement. In 1872, the Methodist powers that existed in Omaha decided the city needed a social service center and opened the first one. The Wesley House traced its roots to that early agency. During the 1950s, Omaha experienced the storming power of the Civil Rights movement. As Rev. Dr. Martin Luther King, Jr. led the movement in the South and drew national attention to what was happening there, North Omaha’s leaders took action in kind. Young people joined with the DePorres Club and the NAACP Youth Council, while adults joined the Urban League, the NAACP, and 4CL. The Omaha Ministerial Alliance took action too. Some of the most influential members of Omaha’s Civil Rights movement were Methodist ministers. In 1958, the city’s Methodist leadership launched a campaign to replace their Neighborhood House in the Near North Side neighborhood. The next year, in 1959, they opened the Wesley House at 2001 North 35th, at Blondo Street, in the Franklin neighborhood, three blocks from the Hilltop Public Housing Projects. For almost the next 50 years, this center provided a hospice from challenges, a hotbed of hope and the forge for the future of hundreds of young people from across North Omaha. In 1962, Rev. Harold Crume, the first executive director, reported that the number of people using the Wesley House rose from 120 when it opened to 4,387 just four years later. In 1958, the Franklin neighborhood surrounding the Wesley House was 99% white when the center opened. In 1971, the Omaha Star reported the neighborhood had become 99% African American, and the Wesley House was essential to the neighborhood’s success. By the 1980s, the Wesley House was merged as part of the United Methodist Community Centers, seen as one of Omaha’s major community service agencies. There were two locations, including the Wesley House and the Woodson Center in south Omaha. In 1986, the centers both offered family enhancement programs, women’s resource centers, “sweat equity” housing development, senior meals programs, pre-school and after-school learning programs, and a variety of other youth activities. All of this came from Omaha’s Civil Rights movement, from the faith of the city’s Methodists, and from Dr. Rodney S. Wead, PhD. This is a 1971 image of Rodney Wead (right) presenting an award to Johnny Rogers. Growing up in the Logan Fontenelle Public Housing Projects, Rodney S. Wead was a determined student and athlete determined to help his city. After serving as a newsboy for the Omaha Star when he was a kid, Wead became a high school track star at Central High and is widely credited for youth activism that included protesting discrimination at downtown lunch counters, rallying support in the white community, and keeping peace during the 24th Street riots in the 1960s. After graduating from Central, Wead earned his B.S. in History and Education in 1957 from Dana College; his M.A. in Urban Studies in 1976 from Roosevelt University in Chicago, Illinois, and his Ph.D in Sociology in 1980 from the Union Institute in Cincinnati, Ohio. He became the leader of Wesley House in 1968, and stayed through 1974. Wead is considered a contemporary to North Omaha leaders Ernie Chambers, Charles Washington, Bertha Calloway, and others. While he was in Omaha, Dr. Wead taught at Creighton University and the University of Nebraska at Omaha, and wrote four books on sociology. Dr. Wead was instrumental in starting the Franklin Community Credit Union in 1968. In 1970, he worked with native Omahans to found the city’s first Black-owned radio station. Joining with NBA star Bob Gibson, NFL star Gayle Sayers, and NBA star Bob Boozer, local leaders including Wead and Charles B. Washington stayed involved through the life of the station. Wead left North Omaha in 1974, but is still well-regarded for his activism and impact on the community, both through Wesley House and beyond. He has stayed well-connected to North Omaha, even holding a wake for Brown in the historical Jewell Building after her passing. Other leaders took Wesley House to great places, too, but few are respected as much as Dr. Wead for their influence still today. This is a recent pic of Richard “The Bear” Brown, a longtime leader at Wesley House. Throughout the history of the Wesley House, there were dozens of activities led by powerful role models who help shape several generations of North Omaha youth. The arts, recreation, culture, education, athletics and many, many other areas were uplifted through the influence and direction of the Wesley House. Along with long-time programs for youth, the community center also led to the development of KOWH, Omaha’s first-ever Black-run radio station, a Black-run community bank called the Community Bank of Nebraska, a credit union, and a pair of economic development organizations, including the Omaha Economic Development Corporation. A counseling center, scholarship program, adult reading tutoring, the Mini Afro Library and business training helped the community, too. One of the short-lived ventures at Wesley House was the United Methodist Community College. In 1971, Wesley House completed a document called “The Overall Economic Development Plan for the Omaha Special Impact Area.” This plan called for the creation of the Omaha Economic Development Corporation, which was intended to reignite the spirit of the North Omaha community. A 1981 story about the Wesley House said the club was started “to give youngsters who were causing problems something to do.” “Once the club was formed, the problems ceased overnight,” according to Eddie Staton, the program director then. The club reported serving 4,000 youth that year, and was credited for being “one of three organizations operated by blacks that are funded by the United Way of the Midlands campaign,” out of 40 organizations in the Omaha area. In the 1960s and 70s, job creation and economic empowerment programs were very important to Wesley House’s programming. Youth-In-Business was one of their special programs, along with several others for adults. Richard Brown was an iconic coach at the Wesley House. After becoming a three-time state prep champion for South High, he wrestled for Iowa State in 1960. As the youth and athletic director at Wesley House, he organized teams for football, softball, basketball and wrestling at the center that were regular league champions in the 1960s, 70s and 80s. His wrestlers went to national championships, and one joined the world wrestling team in 1980. For years, the Wesley House hosted a wrestling tournament that brought hundreds of wrestlers to the community center. Led by Richard “The Bear” Brown, the Wesley House team regularly won over wrestlers from the North Omaha Boys Club, Westside Wrestling Club, Columbus Wrestling Club, Bryan Bears, Papillion Wrestling Club, and others from Bellevue and around Omaha. Tutoring and mentoring programs were popular, too, with thousands of young people learning through powerful partnerships with meaningful adults in their lives. In 1971, the center reported that young people aged 6 to 18 participated in its programs, including sports, dancing, drama and art, black history studies, cooking and sewing, ceramics, parties, group discussions and outings.” Mary Dixon, the adult activities coordinator, said, “Our youth programs are most important… Young people are looking for things to do and its up to adults to stimulate them. This is especially true with the girls. They get tired with the same old ‘blah’ arts and crafts. Its a challenge to find interesting activities for the young ladies.” Highly-regarded Omaha educator Tommie Wilson also led a program focused on staying in school at Wesley House in the 1970s that’s sometimes called the first alternative school in Omaha—which it wasn’t, but that’s a nice sentiment. Beyond sentiment, the Wesley House didn’t shy away from empowerment. In 1980, they recognized community icon Charles Washington for his powerful advocacy on behalf of youth in the area with an award. Starting in 2005, the Leadership Academy of Academic Excellence sought to “prepare our youth to become leaders in their community and their families.” Focused on promoting excellence in education through leadership development and academic achievement, Wesley House also offered the Extended School Program, which emphasized success in math, citizenship, financial literacy, health and leadership. Through the years, the organization recognized a lot of contributions to the community that would’ve gone unsung otherwise. Some of them included the Dexter Jefferson Award, named in memory of an 18-year-old Tech High student artist who drowned tragically; as well as the Rev. Emmett Streeter Memorial Award; and the Youth Advocacy Award. This is the Wesley House when it was opened in 1959. Funded by the United Methodist Church, the Wesley House was considered a success from its inception through the 1990s. However, starting that decade there were supposedly severe fiscal problems at the agency. News stories and anecdotes from inside North O indicate a deeper problem though. Starting in the 1990s, Wesley House opened a program called the Social Development Center for juvenile offenders, young people who were at high-risk of repeating offenses. Finding that young African American men are disproportionately represented in Nebraska’s jail system, Wesley House offered services to re-integrate these youth into society. However, they ran into resistence from the Douglas County Juvenile Court, which worked against Wesley House’s ability to affect high-risk juvenile offenders. From there, the courts sought to disrepute Wesley House. Reports shows that starting in 2002, probation officers actively discouraged parents from sending their children to the center, and the next year Wesley House lost a significant amount of their support from the United Way. Through the 2000s, United Methodist women’s groups funded the center but couldn’t continue for some reason, and in 2010, the United Methodist Church withdrew their support entirely and closed the center the next year. However, starting that decade there were severe fiscal problems at the agency. United Methodist women funded the center but couldn’t continue in healthy circumstances. In 2010, the United Methodist Church withdrew their support entirely and closed the center the next year. Funded by the United Methodist Church, the Wesley House was considered a success from its inception through the 1990s. However, starting that decade there were severe fiscal problems at the agency. United Methodist women funded the center but couldn’t continue in healthy circumstances. In 2010, the United Methodist Church withdrew their support entirely and closed the center the next year. In the years since, there have been many potential uses for the campus left behind by Wesley House. At the time of the closure, the United Methodists announced it was going for sale immediately. In 2010, longtime executive directory Paul Bryant resigned and the board hired another leader. Her first move was to recognize, “You’ve got program costs to have things be adequately staffed and nurtured and tended, but you also have overhead, and the property itself comes with a significant amount of overhead because they’re big, old buildings.” In 2011, Wesley House closed forever. Its hard to deny the legacy of Wesley House which makes it so iconic, memorable and important to the community. In 2013, a nonprofit called Compassion to Action acquired the property. Operating prison re-entry and family reunification programs there, they surely continue the powerful, meaningful mission of the original agency at the site, the Wesley House. In August 2018, Pamela Hinson won a contract with the City of Omaha to paint a new mural at the Wesley House, proving that the community center is still vital to the community, despite the Methodists having given up on it. In July 2018, there was a gathering in North O to celebrate the commitment and service of Richard “The Bear” Brown. Dozens of people showed up to celebrate his work with youth, which started in 1973 and continues today. Despite having left Omaha for Atlanta, Paul Bryant continues to cash in on his popularity as the Wesley House leader through public speaking. Although his fees aren’t disclosed, surely framing his speeches on his upbringing in North O and his time helping the community is making him a little scratch. Rodney Wead himself long ago moved away from Omaha. In 1991, Dr. Wead was declared recipient of The Omaha Star‘s first Citizenship Award. In 2018, the City of Omaha finally acknowledged his contributions to the community by renaming a section of North 52nd between Ames Avenue and Fowler Avenue in his honor. Today, a drive on Rodney S. Wead Street will lead you to the site of one of the greatest achievements by Wesley House, the Community Bank of Nebraska. In 2017, Compassion to Action declared they were buying the entire property outright. Their activities, including the Compassion to Action’s program along with the Mission Church; a health screening clinic called Bridge 2 Health; the LeMick recording studio, a commercial kitchen used for a catering service; and the Raw Dawgs Youth Corps Gang Prevention for young boys are all based there today. Recognizing the property’s historical significance, Compassion to Action is committed to maintaining its past while it continues to build the future. This is not a complete timeline. Please share any major events in the comments section, and I’ll add them. Thanks! 1872—Methodists open the Omaha City Mission, the first social service agency in the city. 1957—On September 27th, Methodists broke ground on the new building for a mission agency facility to augment the outreach at the Neighborhood House. Original features included a new office building, two playgrounds and landscaping across the entire block, all of which was owned for the mission. 1959—Rev. Harold Crume became the executive director of the Neighborhood House, including the Wesley House. 1959—Edward J. Powers was the program director; Ray Tribble was the youth director, and; Ellenor Cronkright was the group work director. 1959—A patio is added to the Wesley House in memory of Sadie A. Johnston, a past president of the Omaha City Mission. 2013—A nonprofit called Passion to Action opens at the former Wesley House. “An Omaha legacy ends, Wesley House Community Center shutters after 139 years — New use for site unknown” by Leo Adam Biga on May 21, 2011 for The Reader. “Competitors Hall of Fame: Richard Brown,” Nebraska Scholastic Wresting Coaches Association. “North Omaha street named for civil rights-era community leader Rodney Wead” By Dirk Chatelain on September 15, 2018 for the Omaha World-Herald. Thanks to Hugo Zamorano for the inspiration to write this article, and for sharing some information! Thank-you Adam, for the interesting article about the Wesley House. Thanks for reading it Steve – I learned a lot researching it.